Stalk and Barrel Cask #70 (46.0%): Gosh, I am late for this one... Last sample left from the world whiskies blind tasting led by Raj Sabharwal I attended all the way back in September. 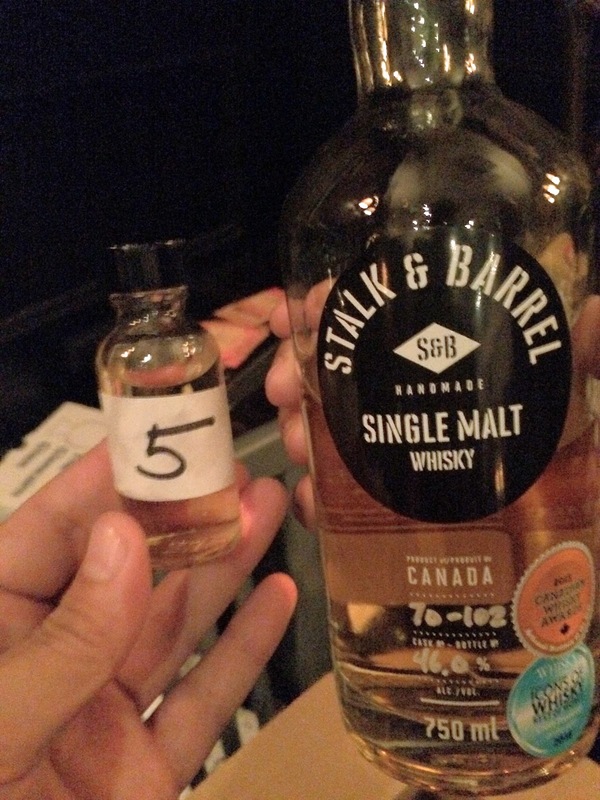 It is a single cask Canadian single malt whisky distilled by Still Waters Distillery and matured in ex-bourbon barrels. I already had casks #5 and #3 reviewed on the blog some time ago and now let's see how this one will compare. Color: Yellow gold, oaked Chardonnay with thin legs around the glass. Palate: Young... Lightly toasted mini barrel matured whisky notes and young grappa. It actually does taste exactly like a northeastern American single malt whisky. Bright and very dominant soft wood, freshly squeezed lemon juice and crushed red pepper flakes... Saw dust, ginger and turmeric. Finish: More wood... Pine, spruce, fir... White and red peppercorns. Kinda short.